Spent a few hours at Saskatoon Airport for a layover. Comfortable seating and general overall layout. Decent selection of food and drink for a smaller airport. I enjoyed the interactive flight map. Friendly and helpful staff. Loved the amount of window space. Nice airport. This small airport is relatively good but lacks selection of retail and food options. The website is poorly maintained and customer service email is not monitored. There is currently construction but information is not readily available on what the upgrade entails. The check in counters are in need of an upgrade. Clean efficient airport small but with nice stores. A variety of airlines and it is never busy. Small clean airport. Close to the city centre. If one arrives for a later flight in the evening arrive with a full stomach as nothing is open after 20:00. It is an efficient small airport with quick security. The TV is still on at full volume in the departure area. 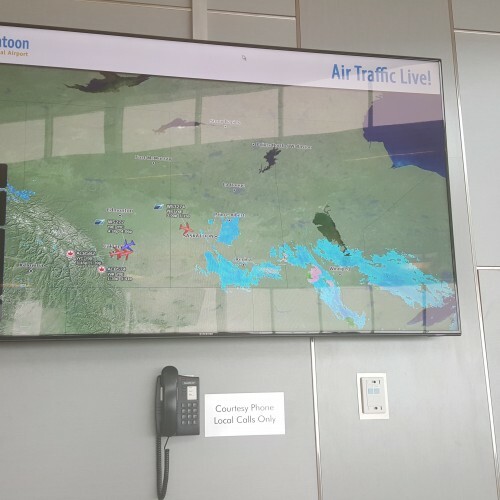 Recently used Saskatoon Airport and found it to be a generally pleasant experience. Quick security clearance is a plus as are the airport greeters who proved friendly and helpful. 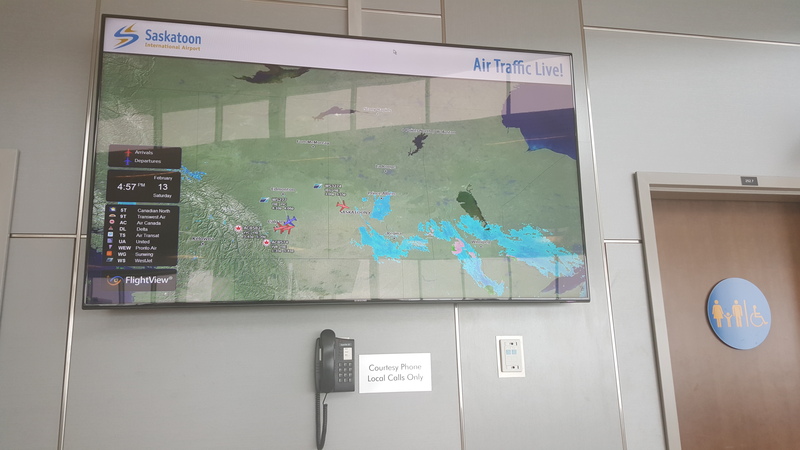 Aside from the din created by a blaring TV set in the WestJet departure area YXE is a fine airport to use.